John Stumpf abruptly resigned Wednesday as CEO and chairman of the scandal-torn San Francisco-based banking giant Wells Fargo. 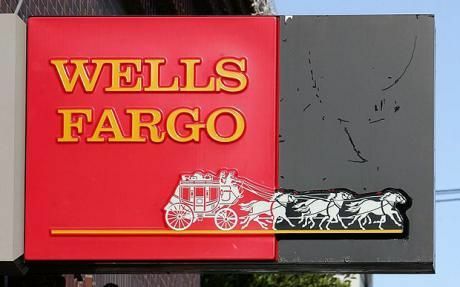 But much more fallout is expected over the revelation last month that Wells Fargo had fired 5,300 employees for fraudulently signing up customers for 2 million new services and accounts. The bank’s agreement to pay $185 million to the Consumer Financial Protection Bureau hasn’t remotely satisfied its critics. In Calabasas on Tuesday, the state Assembly Banking Committee held a hearing in which witnesses denounced Wells Fargo for its actions. The criticism continued even after Wells Fargo executive David Galasso told the committee that Wells Fargo would go beyond the $185 million settlement in compensating customers who were victims. Banking Committee Chairman Matt Dababneh, D-Encino, said he was considering introducing a bill in the Assembly targeting laws and regulations that allow banks to compel disgruntled customers to go to arbitration in just about every circumstance. Wells Fargo has already used such state and federal laws to get several related individual lawsuits thrown out and sees the rules as a potent tool against expected class-action lawsuits in which former Wells Fargo customers say their credit ratings were damaged by the bogus accounts and services established in their names. In Washington, meanwhile, senators of both parties have been pressuring the Justice Department to open a full-blown criminal investigation of the company and its top executives — and not settle for a large fine. Under formal Justice Department policy, the decision to start such a criminal probe partly depends on ”the pervasiveness of wrongdoing within the corporation, including the complicity in, or the condoning of, the wrongdoing by corporate management.” Given that the 2 million phony accounts were being set up from 2009 to earlier this year — and that executives were aware of the problem for at least three years — the pervasiveness standard is seen as highly relevant to the Wells Fargo case. Under federal law, corporations bear responsibility for the criminal behavior of their employees if it arises in the workplace. The Wells Fargo scandal has also become an issue on the presidential campaign trail. Like Dababneh, Democratic nominee Hillary Clinton has denounced laws that compel arbitration in banking disputes. There is also additional fallout at the state and local level. California Treasurer John Chiang and Illinois Treasurer Michael Frerichs separately announced that their states would limit use of Wells Fargo on an interim basis. In Chicago, Mayor Rahm Emanuel’s administration announced that it was selling all its Wells Fargo securities — about $25 million worth. Last week, the Chicago City Council took a first step toward banning any city dealings with the California bank. These lost customers don’t mean much to a company with $90 billion in sales and $23 billion in net profits in 2015. But in an era of anger over the perception that big banks paid a small price for their role in creating the Great Recession, disinvesting in and banning Wells Fargo could become a proxy way for elected officials to take a stand against Wall Street — even if the company is based in California.